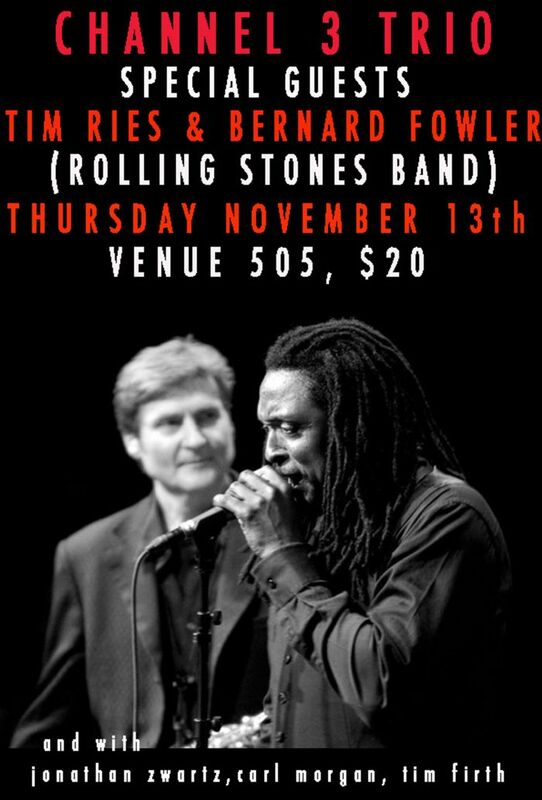 Tim Ries and Bernard Fowler spent the night off with the Rolling Stones in Sydney Australia doing a jazz club show at the 505 club on 280 Cleveland Street. They had a trio of the best jazz musicians in town, probably in the country. Charlie Watts came by to listen. On the second set he was sitting in on the drums. He felt at home same second as he was there. 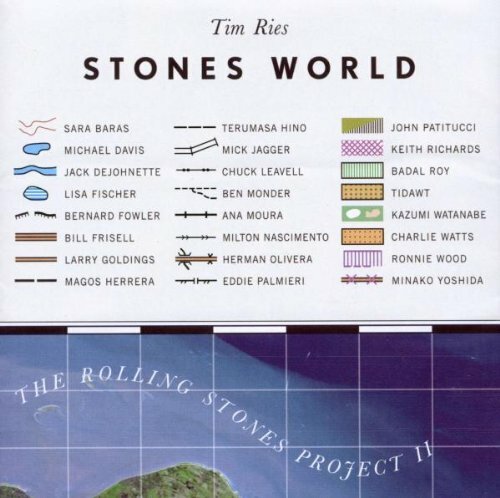 They did WAITING ON A FRIEND, a beautiful jazz version, as you may have experienced before during the Tim Ries Rolling Stones project. Darryl Jones was on the bass. Then they did one more song, as recorded on the Charlie Watts tentet album. The club was sold out. A sign on the door said "Sold out. Really". The 150 or so fans who were there had a great time in Sydney with some excellent Rolling Stones music - with a jazz touch. Edited 1 time(s). Last edit at 2014-11-13 15:18 by bv. Tim Ries have been doing his Rolling Stones project gigs in Perth and Melbourne last minute on this Stones tour, so it has been hard to know when and where they have been. This time I got the info earlier this week, so I posted the details on the "Sydney travel thread". The intimate 505 jazz club was sold out by the time they went on stage. They say the capacity is may be 150 people at the club. I have been working out the Sydney area on foot and by bike, this time I had a paper note in my hand saying three things. Hay Street to Central, Elisabeth Street to Cleveland Street, then turn left and the 505 club should be just around the corner on 280 Cleveland. So there it was. There was a note on the door when I arrived saying: "Sold Out. Really". Luckily I had my ticket safe. The 505 is a great small and intimate club. The stage floor less than a foot high. A small bar in the rear corner. I was with friends who gave me a seat in a sofa close to the stage. Having a gig sitting in a sofa with a bottle of Coopers Pale Ale is the thing to do on a day off Stones concerts in Sydney. Also, I have been working hard days and weeks now, I needed a break. I left camera, mobile, everything behind, just had a few dollars in my pocket for a beer or two. Charlie Watts arrived some half an hour before they were on. He was sitting almost "shaking hands" distance with me. Luckily he was left alone as a guest, even if I am sure many wanted to say hello and make selfies and so on. "Honky Tonk Women" was first of the Stones songs, followed by "Wild Horses" and "Satisfaction". Then they had a break, and after a while there was time for the second set. Charlie Watts had obviously asked to sit in on the drums, and he walks on stage. They do a great jazz version of "Waiting On A Friend". Darryl Jones guest played on bass for this song. Then they did a song Charlie recorded with his tentet, and then Charlie started some real drumming, like it was a Stones show, everybody on stage was surprised. Then Charlie had a big laugh, said thank you and followed the rest of the gig from the crowd. The band did "Ruby Tuesday". A great night out between shows. And I am so glad I took a break from my work tonight and walked over to the 505 club on 280 Cleveland Street. New Yorkers Tim Ries (saxophones) and Bernard Fowler (vocals) from The Rolling Stones will be the special guests of the newly formed jazz trio 'Chanel 3' Which features the incredible talents of guitarist Carl Morgan (fresh from winning the National Jazz Competition at Wangaratta), drummer Tim Firth and bassist Jonathan Zwartz. Edited 1 time(s). Last edit at 2014-11-13 15:56 by bv. BV, you keep topping yourself with wonderful accounts. Hope they do something similar in Auckland since it's almost definitely the last time they are gonna be this far down under! Nice report BV, once again it seems evident the band are having a blast on this tour and this is being expressed in their music. Charlie in particular seems to be enjoying himself.....a usually unheard of occurrence when Mr Watts hits the road! Sounds like a great night in between Stones gigs. Good on yer bv ,and anyone else from IORR who were there. I can see it in my mind's eye thanks to BV's description ..but would love some pics..
anybody get any pics to post..? Sounds great. I was lucky enough to attend a similar gig in London after Hyde Park. Charlie guested then too. Anything planned for Auckland? I won't tell. Any pics/audio/film? This sounds amazing! Wow...those 50 seconds have me wanting more! Edited 1 time(s). Last edit at 2014-11-14 15:30 by Irix. Bjornulf, thanks so much! I have really enjoyed the Tim Ries shows I've seen, though I never had the treat of Charlie joining in. Edited 1 time(s). Last edit at 2014-11-15 00:11 by angee. Reinforces my belief that jazz is awful ... ugh yuk ! Whatever folk see/hear in it, enjoy. As for me, it's a case of "whoosh .... right over my head" !! I think it sounded fine...the volumes were off but my expectations weren't for a 'mixed live album'.